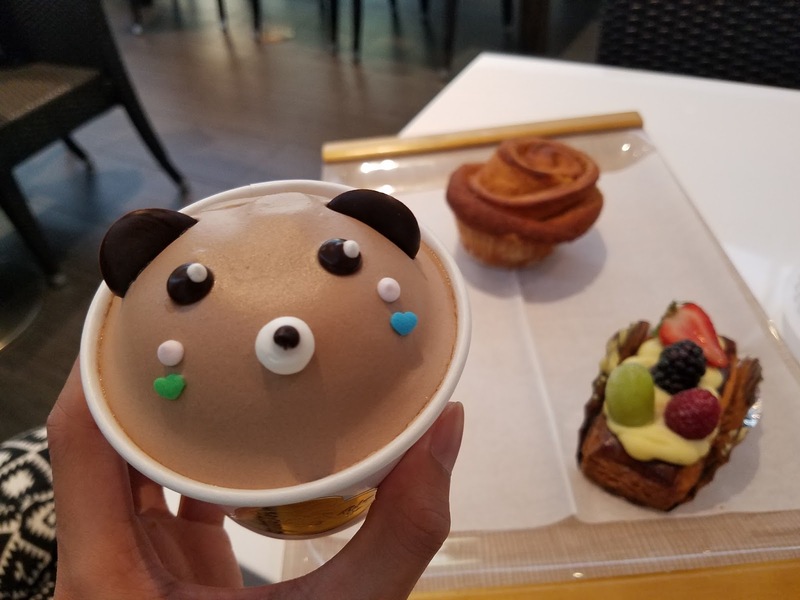 Beary Cute Cakes and Pastries That Just Made Me Melt! 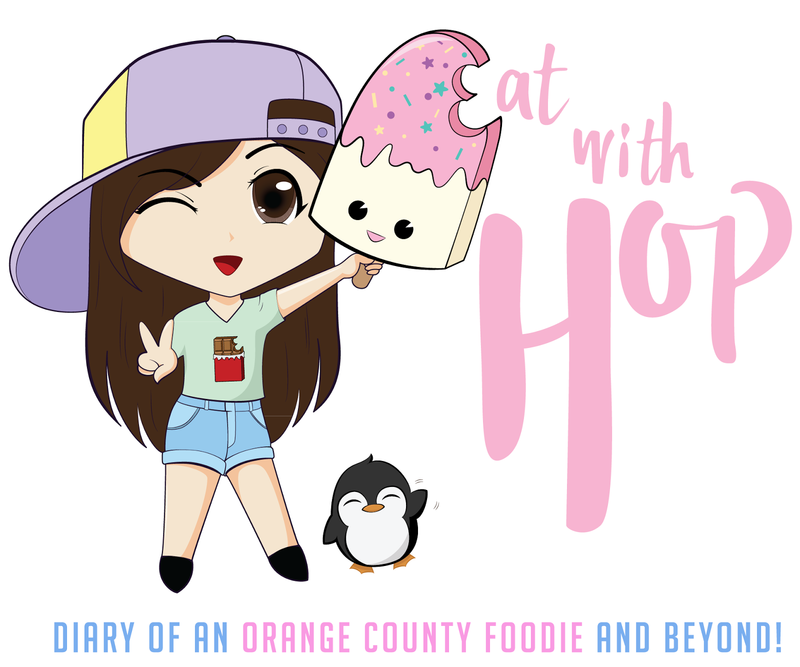 @ Cake House - Buena Park - EAT WITH HOP! Too unbearable to eat that I am melting, because this cake is just too beary cute! 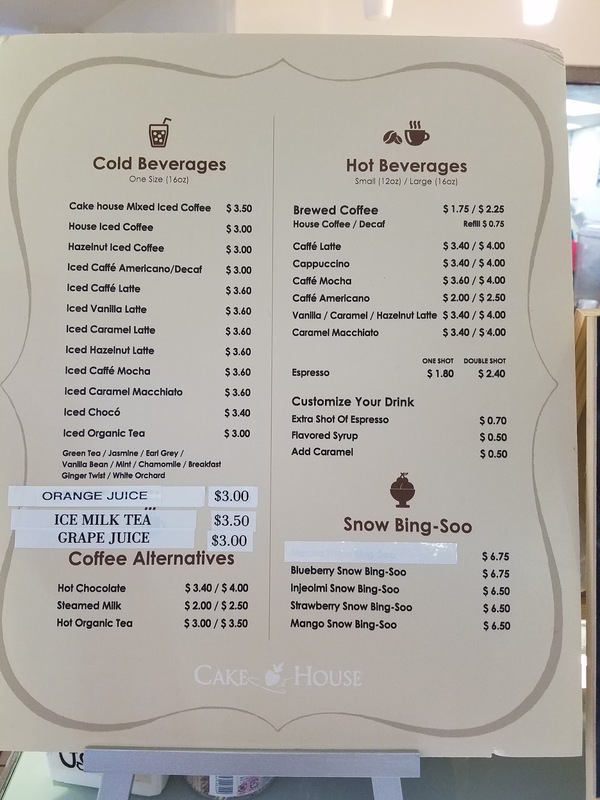 HERE IS THE MENU FOR CAKE HOUSE! They have a lot of drinks, bakery items and even shaved snow (bingsoo)!! 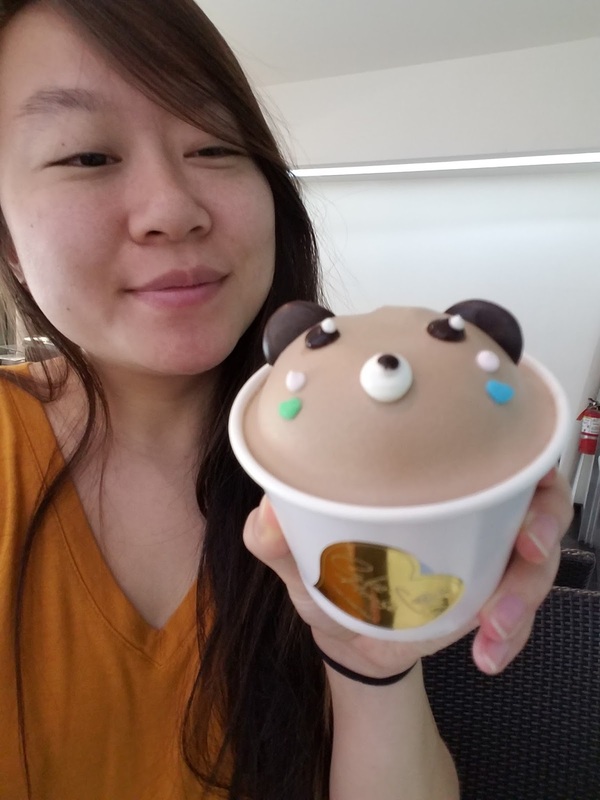 WHAT THE BEAR CAKE ACTUALLY LOOKS LIKE! 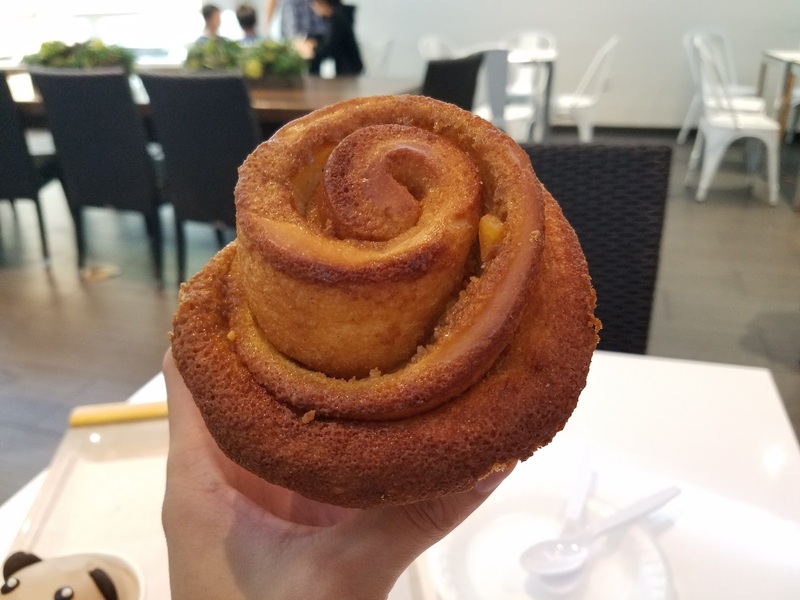 IT IS A SPONGE FRUIT CAKE! It seriously looks funny and morbid when the cake is beheaded.... haha. OMG! JUST TOO CUTE TOO CUTE! So one day Kevin and I were trying to kill some time and decided to walk around some plazas at Koreatown Buena Park! We had just attended the Korean Festival a.k.a. 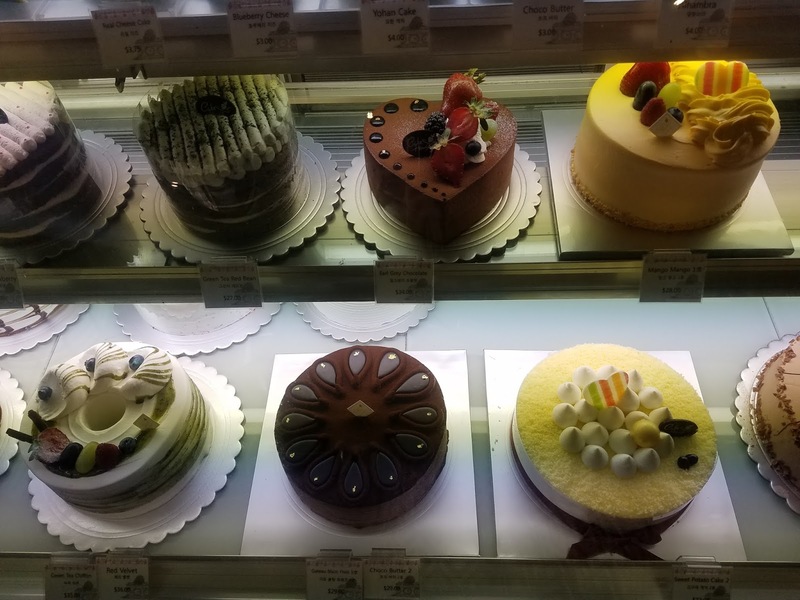 Arirang Orange County Festival or something like that... and while walking in some random plaza I saw SOME CUTE CAKES! This was that place I saw on my friend's instagram! OMG!! 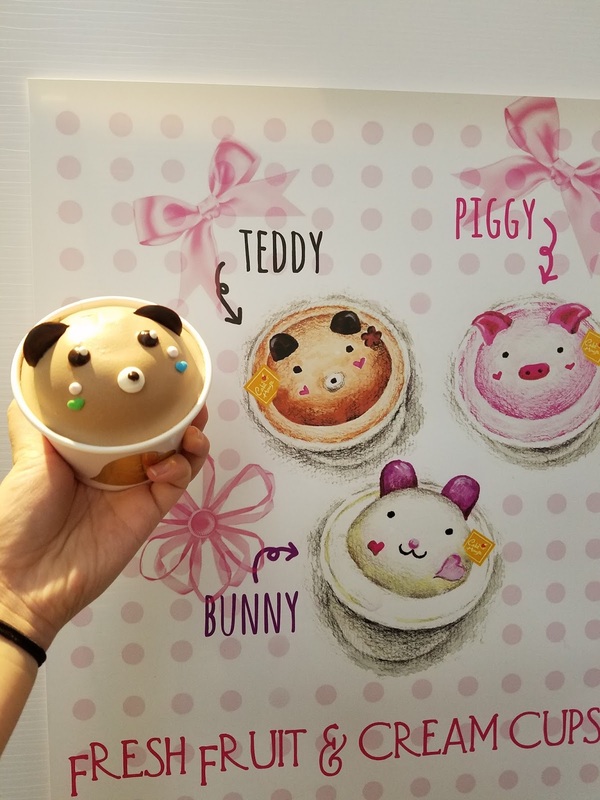 The place with super super cute cakes! 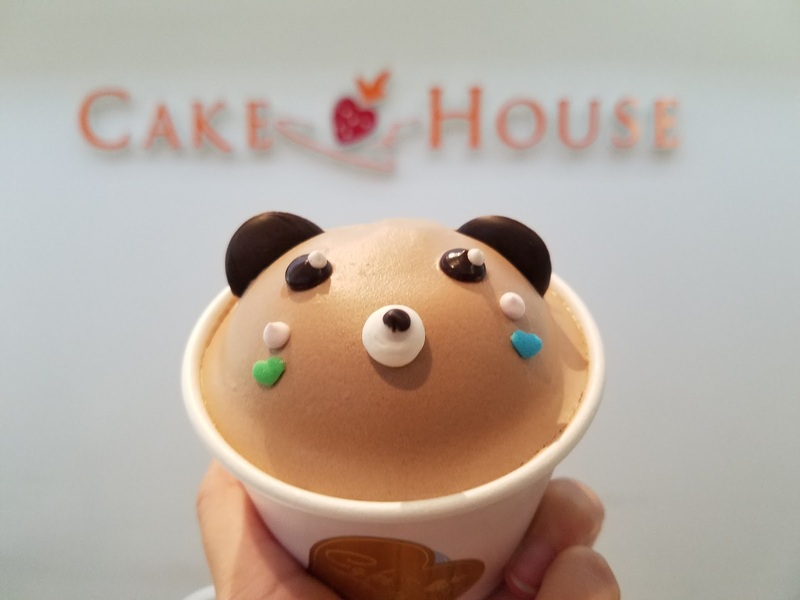 The cute shop is called Cake House and is acutally a bakery that has pastries, croquettes, custom cakes, coffee and Korean shaved snow! 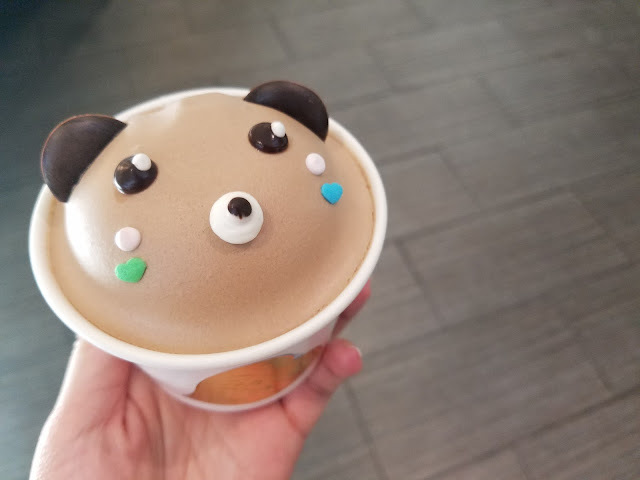 I naturally gravitated towards the cute animal shaped cup cakes (as in cakes in a cup)! 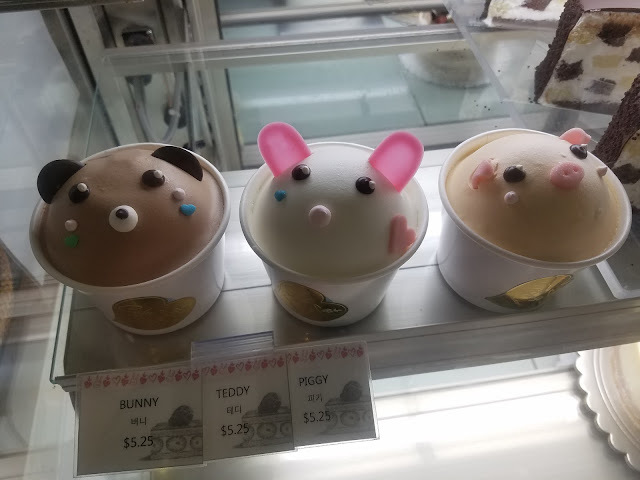 There were 3 animals: Bunny, Piggy and Bear. Which one do I choose?? They are $5 so I can't buy all three... that would be too much money! And I wasn't that hungry anyway. We also got a rose shaped cinnamon roll and a fruit tart thing. 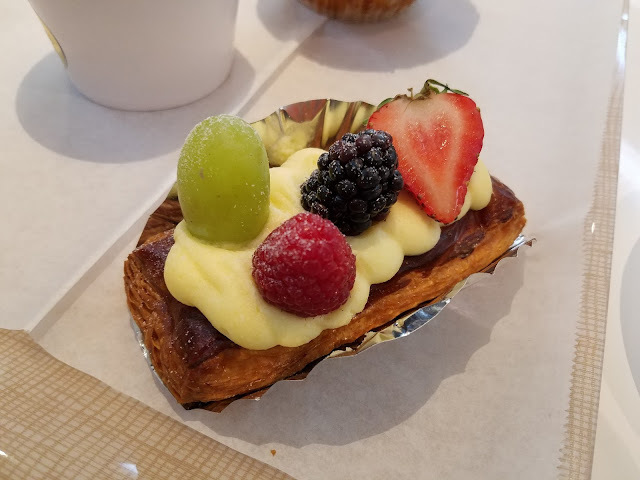 These were all really good! The place itself is cute with many chairs and tables and even a space for kids to play. It was mostly filled with ahjummmas (probably) gossiping away like in those K-Dramas at the time I went. Anyway, this place is super worth if you want a cute cake and cute stuff. The bear shaped fruit sponge cake is not something I'd get on the regular because it's $5... (expensive!) but it's something I would recommend getting once because it actually IS very good and spongey and moist!! *Same plaza as Zion Market!